Short any links and earn money when someone click on that link. You can earn by sharing videos, news and more. Share your shortened links through Facebook, WhatsApp, Twitter, and other social media sites. There are many link shortening services such as short.st, adf.ly and more. You know to get more clicks we need to share our shortened links through Facebook but most of the link shortener sites were blocked by Facebook. Therefore we failed to increase our revenue. But don’t worry there is a link shortener site by which you can post your shortened link through Facebook. The service or website is known as za.gl. You can earn some amount of money using this website with low minimum payout. The best way to get more clicks is post on your Facebook Page or Facebook Group. The more clicks you get more money you will earn. za.gl offers you to earn upto 100 USD per 10,000 clicks. You can withdraw though PayPal anytime when you have earned minimum 2 USD. Or if you withdraw through Bitcoin your minimum payout will be 5 USD. 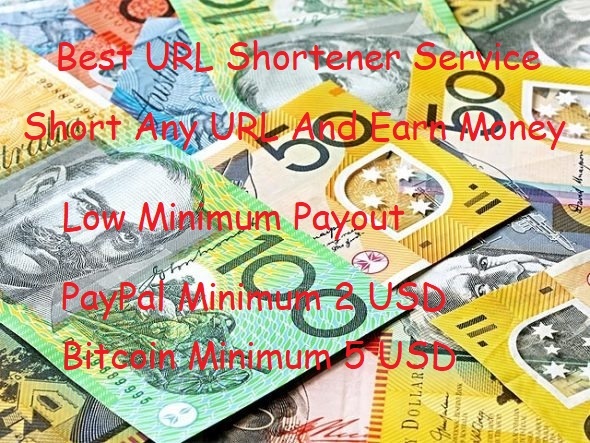 Link Shortening is one of the easiest way to make money online for shortening links you don’t need to have any technical skills or you don’t need to invest any money to start working. Za.gl provides some good features to its publishers with low minimum payout, good customer support and high referral commission for lifetime. Za.gl offers you an opportunity to all online users who earn money by shortening links. 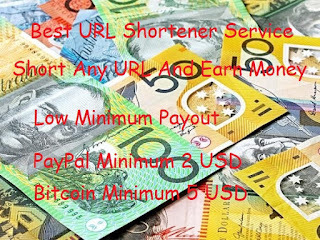 If you earn money by shortening URLs then you must use za.gl. 2. Copy any link then paste it on your za.gl URLs shortening tools (You can watch demo video below). 3. Now share your shortened link on Facebook, Twitter, WhatsApp and other Social Media Sites. That’s it when anyone click on your Shortened links they will go through a short period advertisement for 5 to 10 seconds and you will earn some money. A link shortener works because of a Web Server function called “Redirect or URL Redirection” basically the shortened link or the new link will redirect users to the old link. When you enter a URL on browser, this actually sends an HTTP or HTTPS command to the web server directing it to fetch and transmit the requested web page. You may think , How za.gl make profit? Za.gl makes money from advertisement you see 5 to 10 seconds, They make money by collecting, analysing and reselling industry reports on the sites that you visit to industries that value those insights. They know which URLs are shortened, who clicks on them, when they were clicked and other click demographics saved through cookie tagging. Essentially it’s pure Big Data. Za.gl is a UK based link shortening service. It is a completely free tool where you can create short links, which apart from being free, you get paid. So, now you can copy any type of link and shorten using za.gl then share your shortened link anywhere. Make money from home when someone click on your shortened link. You can earn money by referring friends. The za.gl referral program is a great way to spread the word of the great service and to earn even more money with your short links. Refer friends and earn 50% of their earning for lifetime. 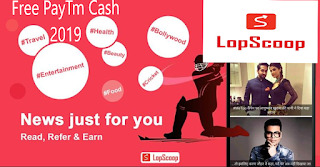 Earning money with za.gl is very easy you just need to copy any URLs (any type of video, news etc) then paste it on your za.gl link shortening tools then share it anywhere online. If any person click on that link then you will get some amount for it. Za.gl doesn’t allow to sign up multiple account. Za.gl doesn’t allow to advertise on ptc sites. Za.gl doesn’t allow you to click on your own link. Do not use any fake traffic like proxy, vpn.